Home News Why Is CRM The Best Help Desk Software Solution For Customer Experience? Help desk software can help you make the most personalized customer service and deliver assistance when your customers need it the most. Given that this is the year of consumers and their experience shapes the corporate scenery on the market, let’s review the numbers and see what complex researches have to say. By now, it’s known that companies lose more than $62 billion due to poor customer care. Why? Because 75% of online clients expect assistance within 5 minutes while 89% of consumers get frustrated when they have to repeat their issues to multiple representatives. To make matters worse, 95% of customers talk about their bad experiences, which means that a company can quickly lose its winning streak as it costs five times as much to gain new leads than to retain the current ones regulars. So, what is the ideal solution? Considering how much revenue depends on the first interaction with customers, help desk needs to upgrade their performance with a high-operating software solution. Luckily, a CRM system has the perfect tools for organizing, managing, and enhancing business relations with patrons. After all, it’s not called a Customer Relationship Management system for nothing. What can CRM do for Help Desk? CRM software could be the game-changer you’ve been searching for. 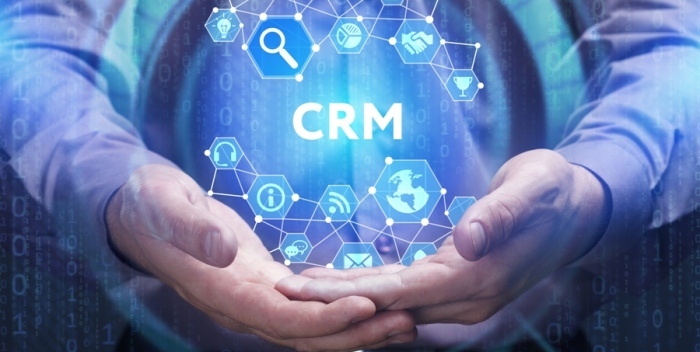 Not only does CRM promote a personalized and customized service, it also tackles and contributes to specific needs of both customers and employees. For instance, due to CRM software collaboration tools, your team will be ready to efficiently handle tasks for half the time. Thanks to the automation of repetitive tasks and an improved development strategy you get with the central CRM database, it’s never been easier to finally see the big market picture and exploit its untapped opportunities. The best customer care by far. Clients are ready to pay 9% more for a quality customer service. Meaning, you can expect to note a 20%-40% rise in sales when engaging the audience with CRM. The one large database a CRM provides efficiently stores vital personal data of consumers, allowing you to gain a deeper insight into their shopping patterns, preferences, dislikes, previous issues with the business, etc. In other words, the help desk team can quickly access the info they need for a fast response and come up with an efficient resolution of potential issues. Optimized performance. Apart from helping clients make better purchasing choices, CRM software optimizes the overall business performance via its time-tracking, notifications, and other automation tools that reduce the costs and labor of repetitive tasks. With improved documentation flow, task/time management, and ability to train your employees, which is yet another CRM advantage, the company can count on 34% productivity growth reflected in sales. Enhanced analytics and performance tracking. CRM software doesn’t just record various information, but it also provides tools for easy data tracking, classification, and management. And it doesn’t end here, since CRM can assist managers to track help desk performance in real time as well as to accurately calculate their collaborating success through sales forecasts. Email support. “Emails causes professionals to leak over $50,000 in revenue per year.” Although they might be perceived to be a bit outdated, emails are still a standard form of communication, especially in business. However, since they cause such a massive loss, the industry had to find a way to fix the flaw. They surely completed this task, as help desk software works implacably well when integrated with email. This perfect solution tightens the bond with consumers by breaking the “reply to all” email chain while sending the tickets to a central database in order to enable other help desk representatives to immediately see the discussion. Right service catalog and enhanced marketing. Since CRM basically gives the most powerful tool in the world, better known as data, the sources collected from social media, emails, phone calls, chats, etc. can be used for making the right service catalog. To simplify, a business can optimize their services or product offerings according to the public favorites. This data can also change marketing campaigns, giving organizations a chance to better hit their targets.